Two articles ran on the front page of the Vancouver Sun on April 22, 2006. One featured a photograph of sodden Eagleridge protesters camped out on the bluff with a headline that read, "A STORMY NIGHT ON EAGLERIDGE BLUFFS." And adjacent to the photo was an even bigger headline that read, "MASSIVE SURGE IN $1M HOMES," which described that 22,000 homeowners in B.C. are now "real estate millionaires." The article leaves the impression that (ed. artificially) inflated home prices (ed. driven by Olympic frenzy) are good for the community, but if you recall, only a few months previous, media ran stories of people losing their homes and businesses because they could no longer afford skyrocketing taxes. Interestingly, if you read the article on April 22 all the way through to the very last line, you will discover a quote by John Barry, from the B.C. Assessment Authority stating, "Just because their assessed value has increased, it doesn't necessarily mean their tax will go up." Mr. Barry even gave readers hope that taxes could go down. (Tell that to the home and business owners who have already lost their properties.) The Vancouver Sun irresponsibly supports this drivel. When was the last time your taxes went down? Someone should tell Mr. Barry that residential taxes are already slated to go up 4%, and that's just this year. I'm not going to get into the merit of other information provided in the article by Cameron Muir, CMHC, because the way it is positioned is so misleading it is pointless to even discuss, but what I want to bring to your attention is that the two Sun articles on the 22nd are juxtaposed to subtly send a message to their Vancouver readers that the Eagleridge Bluff protesters should pack it up and go home. The Sun would be hard pressed to make this statement outright, because according to Eagleridge representatives, they recently spent $18,000 on ads in the Vancouver Sun to raise their visibility. The unspoken reality in the industry is, Olympic organizations that oppose protesters spend mega-millions advertising in local media, and loyalty in Olympic regions goes to the highest bidder. In a similar vein, Noam Chomsky coined "necessary illusion" as media criticizing itself in an effort to fool the public into thinking they are nonpartisan and independent, which makes it easier for media to justify checkbook journalism when they are bought. Helen Lenskyj, Olympic environmental activist and author would make mincemeat out of daily Vancouver newspapers that tread so vicariously. Her book, "The Best Olympics Ever?" is a recommended read. The question mark says it all. Most people don't realize that local daily newspapers pay multimillion dollar fees to become Olympic sponsors just like Bell or HBC, which means bought newspapers have a legal obligation to defend the Games, even to the detriment of the community. It goes against the grain of the average person's perception of journalistic integrity, but realistically, daily local newspapers are in business to first making money, then report the news. When you first see the Eagleridge story on the Sun's front page it looks like the Sun is sympathetic to the protest, but as you read through you start to get the feeling that the protesters, labeled as "gentle," are wasting their time. Calling a protester gentle is like calling a prison warden nice. It's a career killer. The article paints Bluff protesters as a passive and coddled group that will scurry as soon as the first shot is fired. The Sun even slyly implied that protesters are squabbling amongst themselves, which subtly telegraphs that they are disorganized. It is classic divide and conquer. Staunch senior Bluff protester, Betty Krawczyk, who has been arrested and served jail time for past environmental protests has advised fellow protesters to not let media "embed" in their camp and stay with them overnight. Protesters have chosen to ignore her sage advice. Most people naively believe they can trust or manipulate media. Maybe they will think differently after realizing how the Sun is positioning them as ideological interlopers who don't stand even a remote chance of turning the tide. The Vancouver Sun also undermined the protester's position by making big noise in the adjacent article about B.C. homeowners becoming "real estate millionaires." Average readers compare the two stories and think, What the hell are these wealthy whiners in West Van complaining about now? You might be surprised to learn that this "overnight millionaire" scenario is played out almost word for word by local daily newspapers in many Olympic regions. Politicians would like you to believe Vancouver is in a unique position, but let me assure you, we are not. Opportunistic developers and realtors, and rising taxes run rampant in every Olympic region. You're not special. You're being herded. If you want the details it's all in my new book, Leverage Olympic Momentum. If the Sun really wanted to portray the Bluff protesters in a nonpartisan way they should have placed the misleading feel-good Olympic million-dollar-home article somewhere else in their publication. Instead they played it against the Eagleridge story and took the wind out their sails. Nice move. Neither story was late-breaking or even newsworthy, but by positioning both as such on the front page it served the Sun's purpose, which is to sell newspapers and boost the Games - even if it is detrimental to the community. Media makes billions off the Olympics and some of them cannot afford to undermine their economic position by siding with protesters against developers, realtors, or Olympic partners like the government. As the Eagleridge protesters recently stated, they have to elevate their visibility on a global level as soon as possible, but also, and more importantly thay have to make sure media in prospective Olympic regions know what is happening here. Send strong messages every day to not only international media, but also to BUSINESS ASSOCIATIONS in countries BIDDING to host the Games in 2014 and 2018 - countries like Spain, Bulgaria, South Korea, etc. Rain on the IOC's parade at an international level as hard as possible. I'm not talking gentle misting North Shore cloud/fog either, I mean a torrential rainforest downpour. You also have to get David Suzuki to weigh in. This is his backyard. If I was VANOC, and even though they mistakenly insist the Olympics has nothing to do with this issue, I wouldn't want to be even remotely characterized as a rare-species frog killer on Dr. Suzuki's turf. Most importantly, Eagleridge has to publicly call out Bell, Rona, RBC, GM, PetroCanada and all the sponsors who make billions off the Games. Convince them to support the community over the Olympics. And if their hand is forced, create online protests and engage Olympic sponsors in open letters on various blogs and sites. Insist that they choose a side. Don't let them remain neutral. Even though they don't want to admit it, sponsors are involved in this too. They are either with you, or against you. There is no middle ground. It comes down to, they either kill the frog or they let the frog live - make them articulate their choice. A cartoon-like animated full sound graphic of a cute frog cowering on the edge of black-top doom as a big bus full of sports spectators bears down around a corner sends a strong message. Top it off with a "Whistler or Bust" sign on the bus marquee and it's hard to forget. Viral publicity is the weapon of choice in 2006. If you can toss in a dose of humor it will be indelible, and it will entice people to pass your message to their friends and colleagues. Think, Rick Mercer's "This Hour Has Twenty-two Minutes. Check out "The Meatrix" to see how it's done online. Mainstream politics in Washington is also now fought online, and Olympic politics can command the same forum. It is much more effective and cost efficient than chaining yourself to a tree or getting arrested. It is also foolhardy and dangerous to confuse save-the-tree protest with Olympic protest. They are broached very differently by the government. Don't be surprised to see the military and heavy artillery involved. It is not uncommon to send in 1,000 troops and heavy machinery to manage 100 protesters. Olympic organizations know they have to suppress the noise quickly and as efficiently as possible. Deadlines loom and they do not have time to wait. 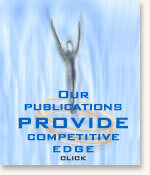 Instead of physical confrontation, overwhelm sponsor's communication networks and call centres with pointed questions. Also, it is a move in the extreme, but it is not uncommon for protesters to order product through sponsor websites and return it unopened to store locations. (It isn't exactly ethical, but I'm sure you don't feel they are ethical either. BTW, if you use this tactic start with a shot over the bow just to let them know you can do it; and do not use your Visa card because Visa is also an Olympic partner and they will collect fees, although this too will create fiction among their clients, but not enough to justify not throwing a little business to other card companies.) Customer touchpoints provide a network array of access. Imagine the impact this would have with an $18,000 budget to manage the program? You could be sleeping peacefully at home instead of hanging off a cliff in the wet and cold wind. Let Olympic sponsors know that they are either with the community or against the community. All they understand is profit, so talk money to them, not frog, tree or babbling brook. That's old school and they have vast experience defending against it. If you can't manage a public conversation online you might as well go home, because not achieving results sends a strong message that you're too Gucci and not really serious about the environment. It also increases taxes. Most people don't realize that protests drive up policing costs, and it is only a matter of time before Olympic organizations will be compelled to use it against you. Local daily newspapers interested in Olympic revenue, which is driven in part by skyrocketing real estate values, have zero incentive to genuinely align with your cause. Instead they use protesters as pawns. 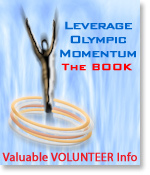 If you think beyond traditional communication and protest strategies, and impact VANOC and the IOC's pocketbook you will have their attention. You are lobbying against a global entity, which means it might make you feel good to stand up for what you believe, but at the end of the day results are all that matter. Anything less is simply grandstanding. If you get pushed off the cliff you lose, and it seems to me that the Sun's articles on April 22 have imparted the mistaken perception that you're pushed precariously close to the edge. Olympic organizations and their partners are profit-centric bullies. Speak their language and follow the money.